This guide isn’t personal advice. You can normally access your pensions from age 55 (57 from 2028). What you do with your pension is an important decision that you might not be able to change. You should check you're making the right decision for your circumstances and that you understand all your options and their risks. The government's free and impartial Pension Wise service can help you and we can offer you advice. The information on our website and this guide are not personal advice. Tax rules can change and benefits depend on circumstances. 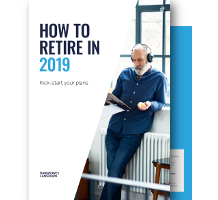 If you’re thinking of retiring soon, or reducing your hours at work, the tips in this guide could help you to make sure your plans stay on track.